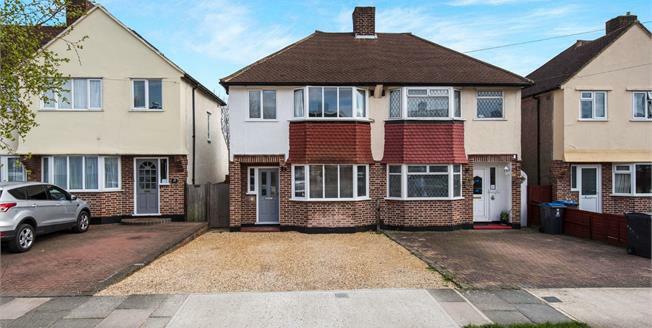 A semi-detached, three bedroom house, extended to create a stunning family home. This beautiful property has been refurbished by the current owners and now offers exceptional living space with a highly contemporary extended Kitchen/Family Room with under floor heating and bi-fold doors onto the landscaped rear garden. The ground floor further benefits from a WC and there is a separate, raised lounge area to the front. The first floor has three bedrooms and a stylish modern bathroom with under floor heating. The pretty rear garden is mostly laid to lawn and has side and rear access as well as a patio area and a pathway to the rear. There is also a smart gravel driveway providing off street parking for two cars. This is a fantastic home and viewings are highly recommended to fully appreciate the exceptional finish. Pembury Avenue is under half a mile from Worcester Park station with a regular service to Waterloo in under thirty minutes from Zone 4. Buses serve New Malden, Kingston and Sutton with the A3 providing access to London and the south of England by road. Worcester Park has a dynamic and busy high street with a range of well known shops and restaurants including a Waitrose supermarket. There are also a number of well regarded schools making Worcester Park ideal for young families.